I met Angela thrugh some mutual Disney Facebook groups we are both members of. She first reminded me of Anette Funicello from the The Mickey Mouse Club (the original one in the 50s). 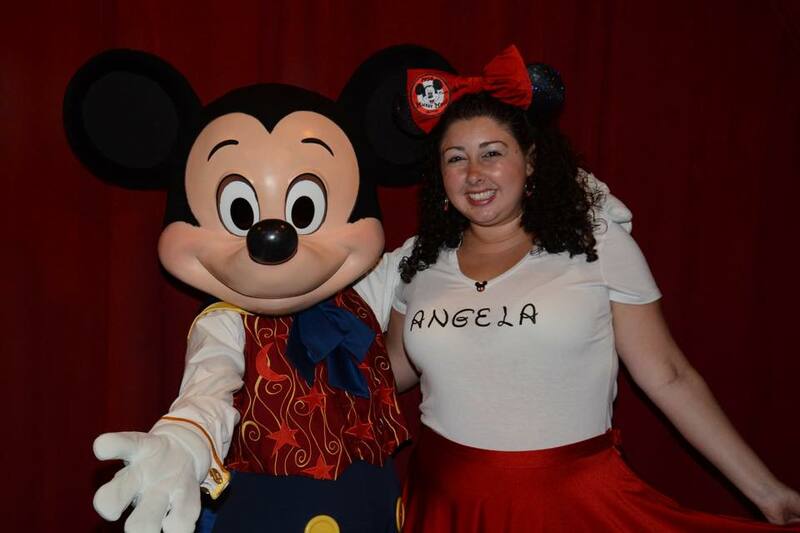 There was no denying Angela was a super fan! 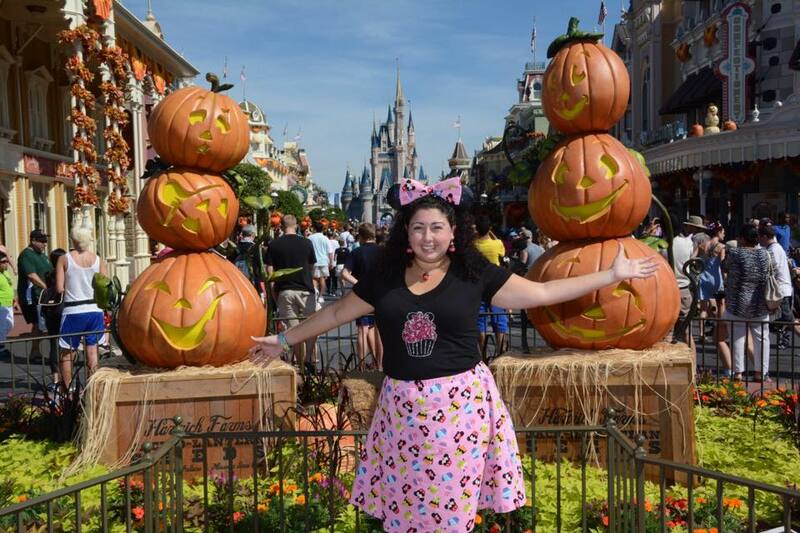 During her recent trip, she constantly posted pictures of her visit and these amazing outfits her mom made for her! This outfit was my favorite of her recent trip! Its Disney Cupcakes!!!! Im still waiting for her mom to make me one! LOL. 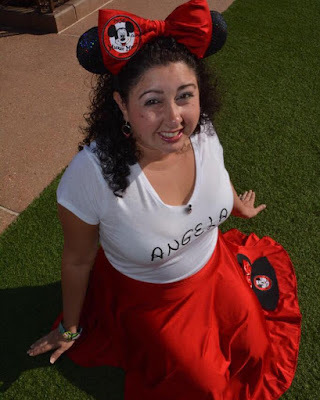 When I decided to start this new segment featuring amazing Disney Fans, she was one of the first ones that popped in my mind. In getting to know her more through this post, this woman is what the true Disney Spirit is about!!! It is so evident that she loves people and wants to help people! She has a love for life and it shines through her! I hope you enjoy getting to know her as much as I do! 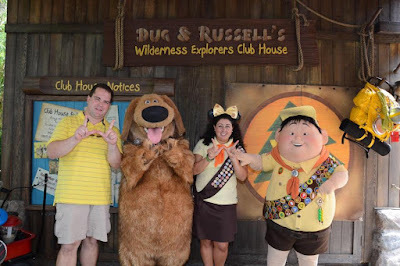 HOW OFTEN DO YOU VISIT DISNEY? "I usually visit Disney 2 times a year for an average of 12 days per trip. 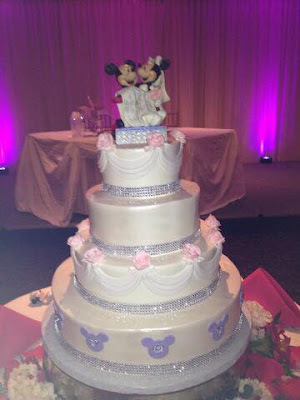 We also go on the Disney Cruise once a year on a 7-Day cruise. 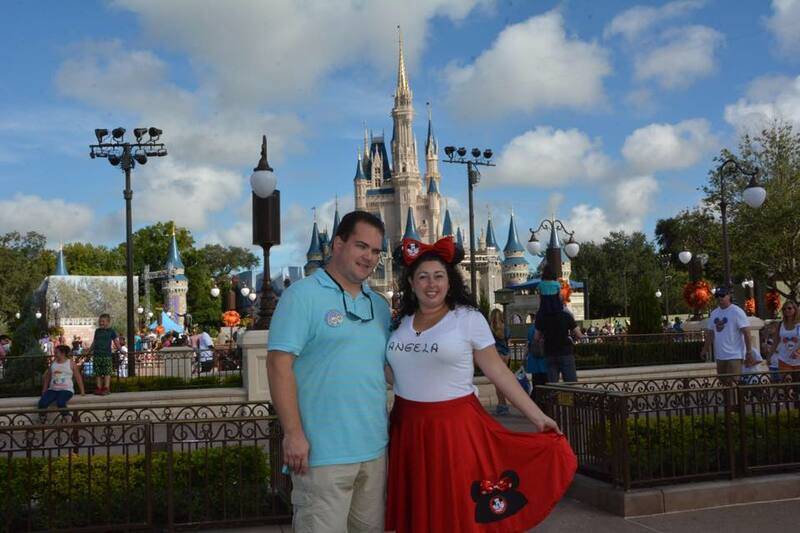 I currently own 2 Disney Vacation Clubs and also a Annual Pass holder, that is how I am able to visit often." 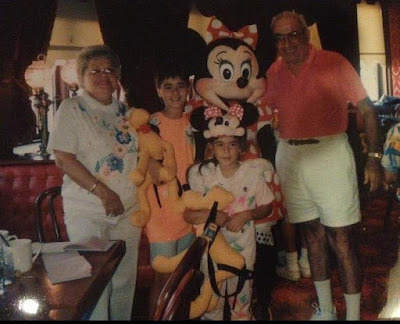 WHAT IS YOUR FAVORITE DISNEY MEMORY? "I have so many great memories that I cant pick just one, but I have a few that stand out most. 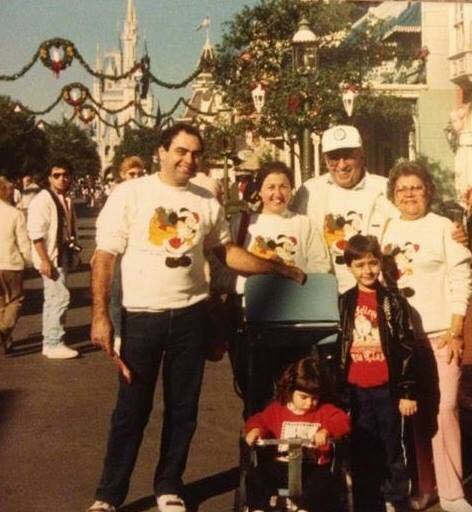 When I was a kid I remember being in Disney on Christmas day with my family and grandparents and getting my Christmas presents from my family at the Grand Floridian it was so different not being home for the holidays but it was a special memory I will always remember. 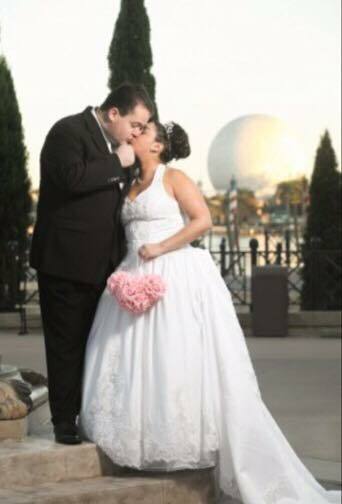 Another memory I have is when I was on the Disney Fantasy when my husband asked me to marry him and we went to pick out my engagement ring together. It was amazing and so special! " A majority of my outfits I wear to Disney are made for me by my mother Rita. She is a very talented person and each trip I go on she always makes me something special to wear. Some of the material we get is custom made and printed material, other material is from local fabric stores. I always have to have a matching bow to my outfit to wear with my Minnie mouse ears. She even makes my jewelry to wear to accompany the outfit that day! Other dresses I wear I purchase from Hot Topic or Her Universe. 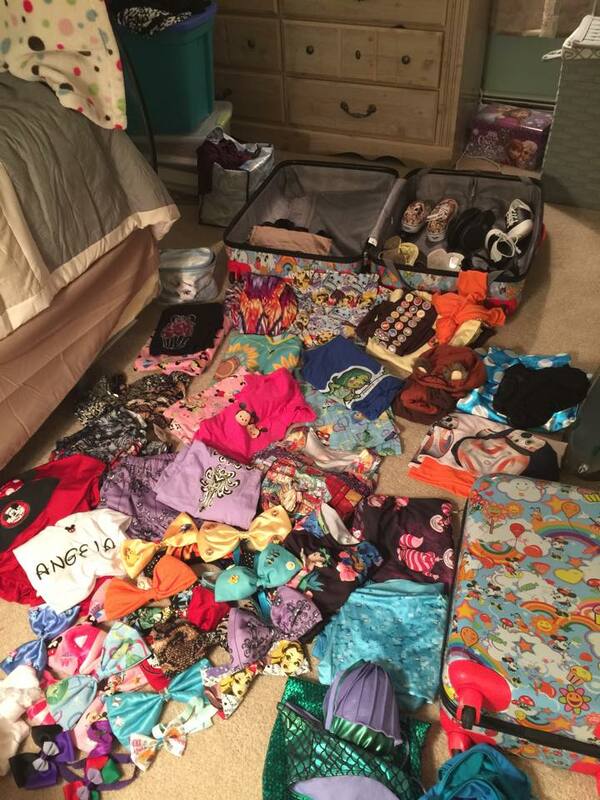 WHAT IS YOUR FAVORITE SOUVENIR EVER YOU HAVE GOT FROM DISNEY? 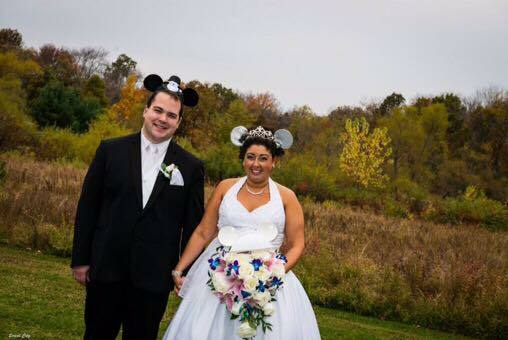 My favorite souvenir I would have to say is my Disney Ears. I have 2 pairs that are my absolute favorite and cherish the most. My very first pair of Minnie Mouse ears with my name on it that my parents bought me on my first trip to Disney when I was 6 months old. My second favorite pair is my Wedding Minnie Mouse ears, which I wore on my wedding day. And also my photos, which I take, a ton of at Disney because it is something I will always have to cherish and relive the memories of my trips! WHAT IS ONE THING YOU ABSOLUTELY HAVE TO DO WHEN YOU VISIT DISNEY? We always have to meet Mickey and Minnie Mouse! It is a must do! Since they are my favorite characters, Also always have to take a photo in front of the castle! 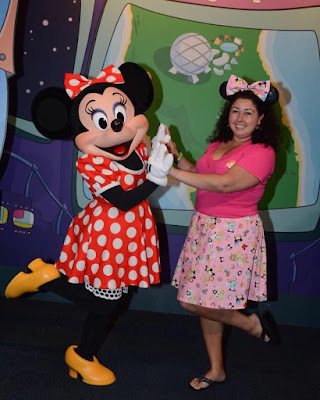 Minnie mouse is my all time favorite character and has been since I was a baby. She was my very first stuffed animal when I was born and my first Halloween costume too. She was also my very first meet and greet at Disney. I just adore Minnie Mouse and that is why I wear Minnie mouse ears with all my outfits! WHAT MAKES YOUR DISNEY PASSION STICK OUT ABOVE OTHERS?My passion for Disney is so much more then anyone can imagine. Disney has been a huge part of my life since I was born, and I am not ashamed to call myself a Disney Addict! 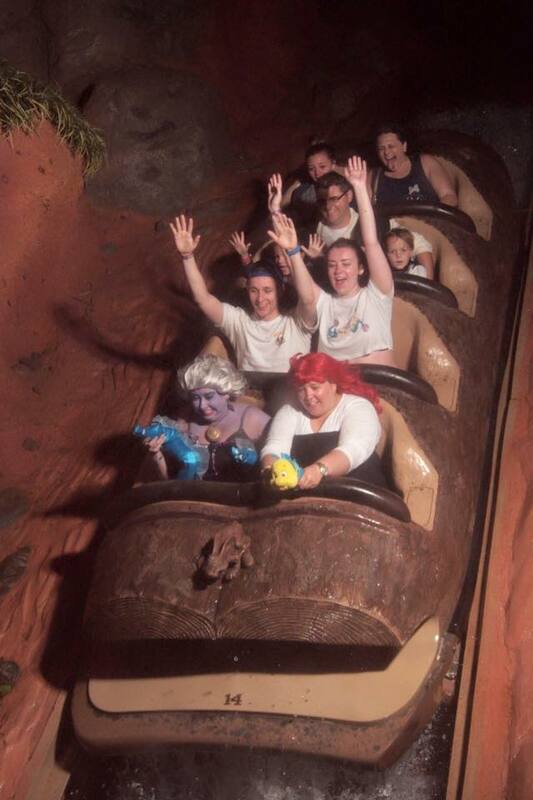 Disney is such a wonderful place and has so much magic that it just makes me smiles. 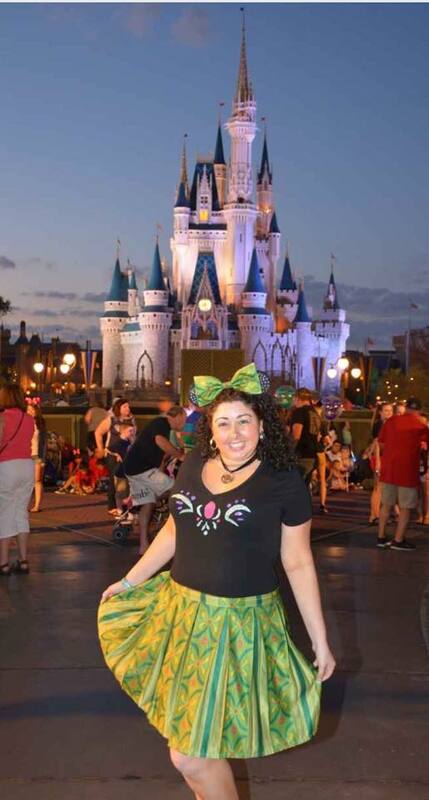 My passion for Disney sticks out from others because Disney is a part of me. 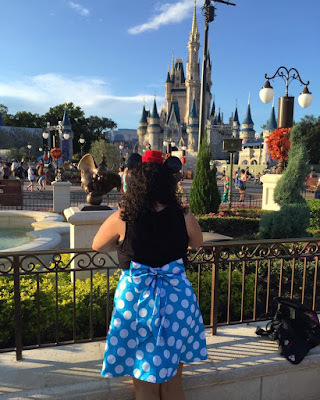 When I visit Disney I plan for months to make the time I am there the most magical it can be. From what I wear, to where we eat, to the every day activities we accomplish while we visit. Disney is in my life daily and I wouldn’t want it any other way. 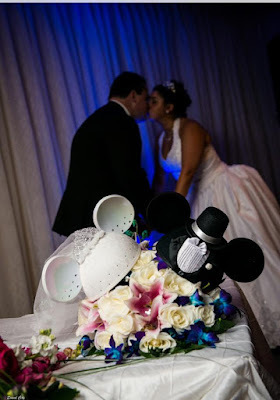 It is who I am and one of the best things is to have a husband and family who support my love for Disney. Also in the last few years I have met so many new friends that I can now share my happiest memories with them as well. Disney will always be a part of me and a huge part of my life no matter what! Did I mention she also is the admin for one of my favorite groups? 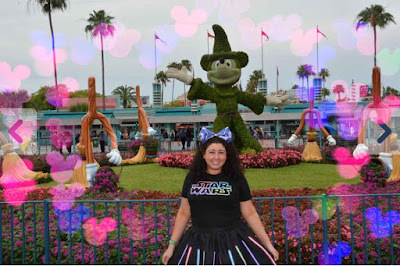 If you are on Facebook, you need to check out Disney Fans and Friends!!! 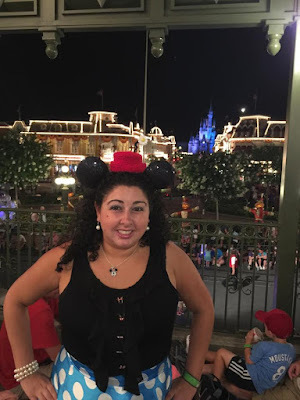 She has created a fun place for people who share the Disney spirit and genuinely become friends! Its an amazing group, make sure you join up today! You also got to check out a few more of her wedding pictures! 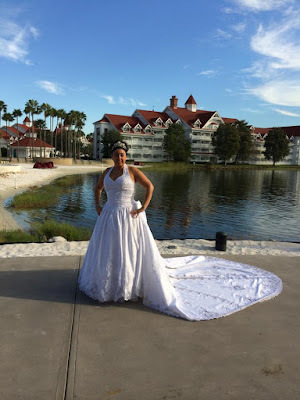 She had a wedding in her hometown that had some Mickey touches then on her Honeymoon at Walt Disney World, she had wedding pictures taken at Epcot and the Grand Floridian!! HOW COOL IS THAT???? She really is a true Disney fan and I am so glad to get to feature her on my very first Disney Fan Friday!!! WHO DO YOU KNOW THAT IS A SUPER FAN? PLEASE NOMINATE SOMEONE YOU KNOW BY CONTACTING ME HERE OR ON MY FACEBOOK via MESSAGE! awwww! I look forward to seeing Angela's outfits! Arent they all AMAZING?!?!? She makes me so jealous! LOL! Her mom needs to open up an Etsy account!!! Thrilled to have met Angela through the FB page. 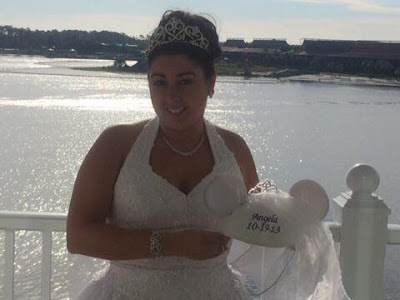 She really is a Disney fan that just oozes Disney love. Every time I see her posts, my love for Disney grows as well. She is amazing! Makes Disney look like so much fun in every photo!